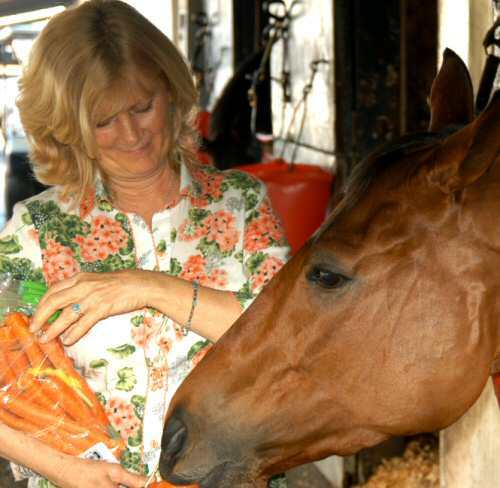 HorsePower Herbs' vision for all equines is for a healthy, balanced, nurtured existence in the care of man and nature. The Key to Improving Bone Density and Bone Remodeling. Although continued efforts are in place to improve track conditions and racing surfaces, the fact remains that most catastrophic or severe breakdowns are a result of poor bone structure. Correct alignment of the bones and joints in relation to the position of the foot is necessary to avoid uneven distribution. The center of gravity in the foot should be directly in line with the straight column of bones. Many serious bone injuries are caused through abnormal bone reacting to normal impact and loading. 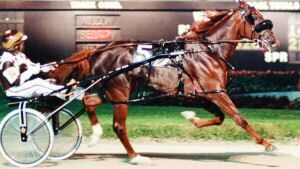 Many seemingly “sound” horses have areas of weakened bone along with small stress fractures that predispose them to serious injuries. hoof makes contact with the ground. Force is sent as waves throughout the limb. Shock is absorbed by the hoof, the bones, and joints. Loading follows impact, injury occurs here. Horse’s weight passes over stationary hoof. Tendons and ligaments achieve maximum loading. 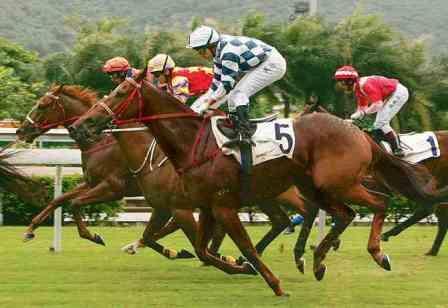 *Horses traveling at race speeds are subjected to forces equivalent to three times their body weight. Bone constantly remodels itself in response to the force of impact. Cortical bone gives bone density, shape, and strength. It makes up to 80% of the adult equine skeleton. Trabecular bone is the “honeycomb” bone that forms in the end of the long bones surrounding the bone marrow. Collagen comprises 30% of mature bone and is a major component of connective tissue and cartilage. Osteoblasts are the bone forming cells that are interspersed throughout the collagen matrix. They secrete a mineralized compound called osteoid which contains high levels of both phosphorus and calcium. Osteoclasts are bone reabsorbing cells. Osteoclasts work with osteoblasts to remodel cortical bone (ultimate strength). These cells are activated when cortical bone tissue is subjected to impact and loading forces. Remodeling increases bone density by removing existing bone and adding new bone to areas where the forces are greatest. Remodeled bone has a greater strength than the bone produced during normal growth stages. The major contributing factor to preventing injuries is increasing cortical bone density through correct nutrition. Confirmation, poor balance, and track design play important roles in preventing injuries. If the track surface is too hard, the horse’s hoof rebounds too quickly during the loading phase which adds to the forces on the limb. If the surface is too soft it will rebound too late to be of any benefit in reducing impact. Five months of training a racehorse equals about 50,000 strides. 50,000 strides is the average fatigue life of the cannon bone. Once this point is reached shin soreness increases dramatically. Total bone mineral content is not reached until a horse is 6 years old. Bone scans show that shape and composition of bone is affected by lack of exercise. With horses that have been turned out, bone density decreases during the first 60 days of resumed training. Mineral supplements, along with a careful training regiment will result in improved bone density and durability. Calcium, phosphorus, and silica are crucial to bone growth rate. Diets should provide ratios of between 3:1 and 1:1 of calcium to phosphorus. Equine studies prove that 6:1 will result in a reduction of bone density. Feeding extra calcium has no effect on bone density. High grain and low lucerne (hay) diets are detrimental. Low magnesium is associated with a reduction of activity by osteoblasts and osteoclasts, the bone remodeling cells. Magnesium is needed for calcium absorption, formation of the collagen matrix, and bone mineralization. Trace minerals such a boron, copper, and zinc are necessary for correct calcium absorption. Silicon is involved in the formation of the collagen matrix. Zinc, copper, iron, and silica are found in the greatest concentrations of the lactating mare. The skeleton of the newborn foal contains only 17% of the adult bone mineral content. HorsePower Herbs has created two specialized bone formulas. The first is BoneProof™, which helps to repair fractures. Jurassic Dirt™ helps to mineralize the bone for correct remodeling and structure. VISIT OUR E-STORE TO ORDER. Contains large amounts of naturally occurring insulin. Helps to form a new matrix. Removes uric acid from joint areas. Decomposed composition of minerals that fed and grew the bones of dinosaurs. Contains necessary trace minerals in their natural state. Contains rock phosphates and humates which increase mineral absorption. Contains moisture activated enzymes which aid in absorption of minerals. Most mineral supplements contain non-organic, hard to absorb minerals that are sometimes produced in a laboratory. The equine system does not recognize these minerals and quickly eliminates them.